This game gives me the impression of a British gladiator story. You know, that story where the main character was once a respected army officer, then somewhere along the line his wife is taken away and he ends up in prison and/or becomes a slave? Well Henry Blake is no gladiator, but the storyline sure comes close. He was actually in the British Royal Navy and he too ended up in prison after his friend betrayed him and his fiancé was taken from him. 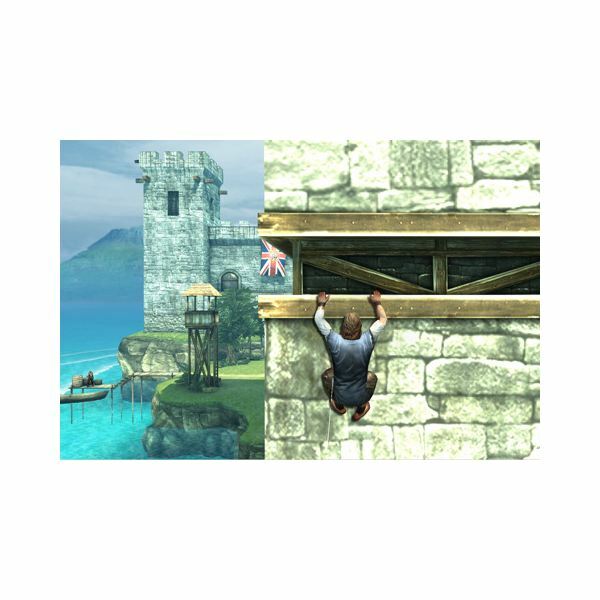 Don’t worry, the game does not take place in prison nor in Rome or England, he is actually a free man now and is on the hunt to take revenge on Edmund Kane (his former friend) in a quest for vigilante justice on an island in the Carribean. You will be playing as this character. Remembering that your character is an ex-Naval officer, you should have already assumed that his fighting skills are epic and that there will be many ways for you to attack your target. The game is equipped with combo moves, which may take a little time to fully grasp, especially on your iPhone, but you will get the hang of it and the more combos you learn, the better your fighting skills become. Although, I find that pressing the sword button over and over really quickly, does a very good job. 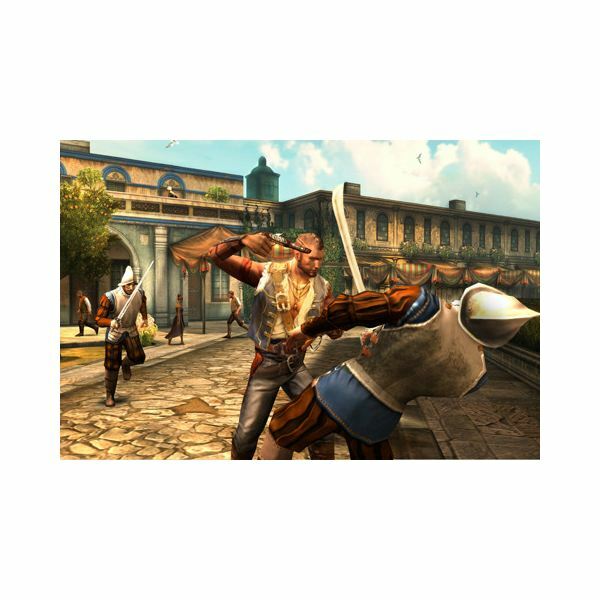 You will find yourself roaming an island jumping and stabbing your way through different adversaries, but you will also find that the game is similar to Assassin’s Creed with a little inkling of Pirates of the Caribbean — the story does takes place in the Caribbean and you will be doing little additional errands for people. Not to mention the jumping around and the sword fights. You will not only be killing people, but you will also be killing small animals as a part of your quest for someone. So the chickens and bunnies are not just in the environment as props, if you know what I mean. The game is essentially filled with a bunch of little missions for you to undertake, which may or may not be directly related to your own personal quest, but it makes the gameplay interesting and each mission has its own reward. 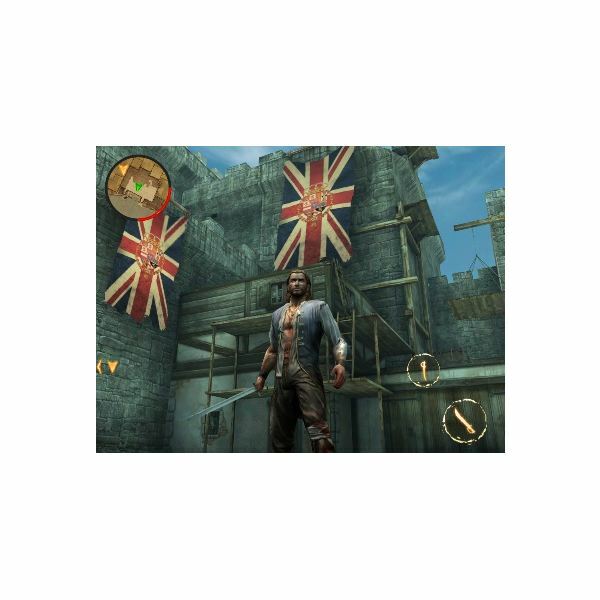 The graphics are actually really good for a game being played on a mobile OS and the developers ensure that you stop and take notes with the impressive environments of the Caribbean island. The environment is 3D and includes trees, beaches, ships, buildings and even a volcano. You will also notice the rock and brick walls are detailed, but not overly done. I must admit that even though the environments are superb, the characters themselves tend to sometimes appear to have parts of them missing or have disappeared from the background. Other times they seem to be walking through the walls or stuck in a corner. Most of this does not happen to your main character and does not happen often, but the few times that it does, it can be annoying and may even force you to exit and re-enter just to get it back on track. 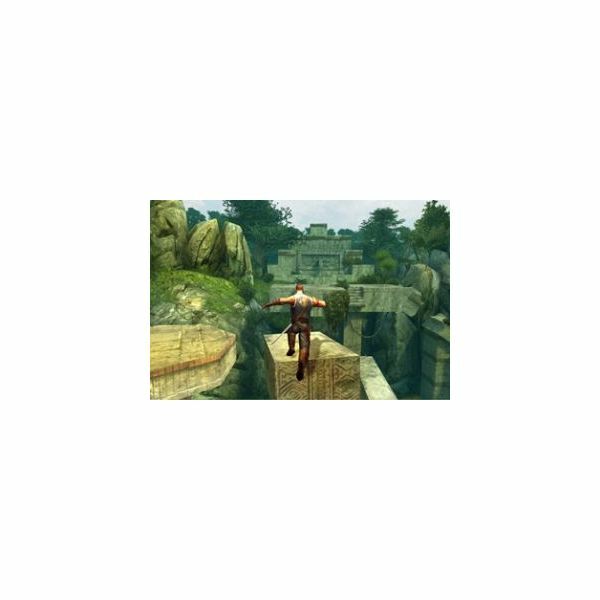 We have already established that there will be a lot of jumping and stabbing and you will often be jumping from the top of one item to another in order to move around in the open world provided. I had mentioned the sword fight earlier and how pressing the sword button really quickly helps. I still stick to that because there is no way to really block your opponent's attacks, so you stand a better chance of maybe backing up a little and constantly attacking him. You can pan around the environment by scrolling on the iPhone screen, but my problem is that I hate touch screens because my fingers tend to sweat and sometime I scroll too far and miss certain things or it doesn’t seem to be scrolling at all. I have recently found out that other people have experienced the same problem, but I cannot judge the game fairly on that aspect based on my own personal issues. At first I died quite a few times because the navigation didn’t seem to be so smooth with the camera, the running and the jumping, but after drying my hands and playing for a little while I soon got the hang of it. I tried to keep everything simple so as to not give away too much of the game, but still allow you to get the concept. I am going to sum it up and hopefully, you will be able to form an opinion based on what I have learned. Ok, the plot is like Spartacus with a Jack Sparrow twist. The game's graphics and environments are superb and I have to congratulate Gameloft on that, because I usually hate playing games like this on a mobile phone — an iPad would be better. But the character graphics have their downfall, which is not really a big deal unless you get stuck. If you decide to play the game and stick to your own personal vengeful quest, you could actually finish the game in a few hours, but the missions are fun for the most part, so I suggest that you at least take on a few of the side missions to extend the gameplay and make the most out of the experience. I, personally like this game and would recommend it to anyone who likes Pirates of the Caribbean and Assassin’s Creed. Even if you have never played any of the aforementioned games, I think that the BackStab iPhone game is worth a try and you can get it for $6.99 at iTunes.